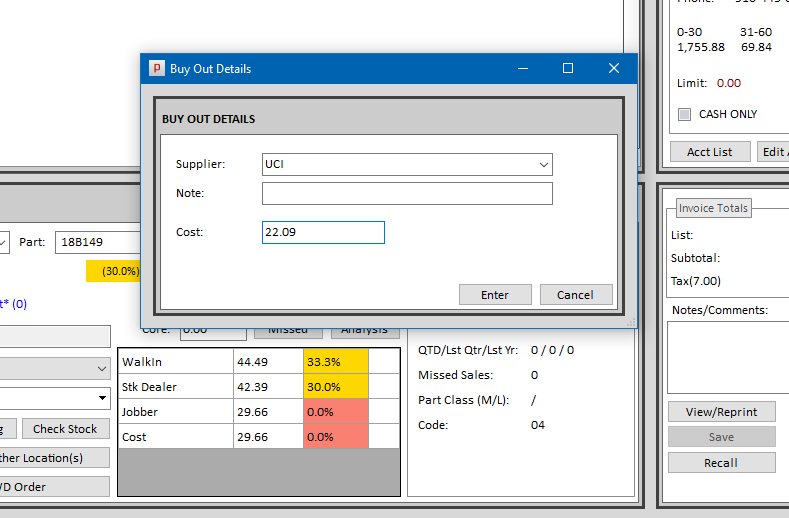 Added a user preference to make a PO record when a buy-out is done at POS, so that record of receipt and cost is make at time of the sale. Added the min/max to display on the Replace Daily Sales PO. Added ability to search quotes and holds by PO# in the recall screen. 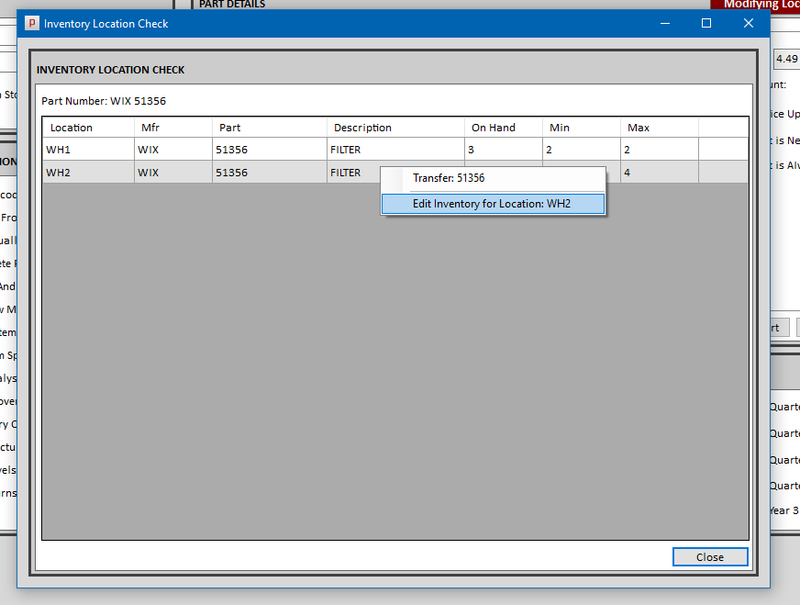 Added the ability to edit inventory on other locations from the “View Other Locations” screen for multi-location systems. 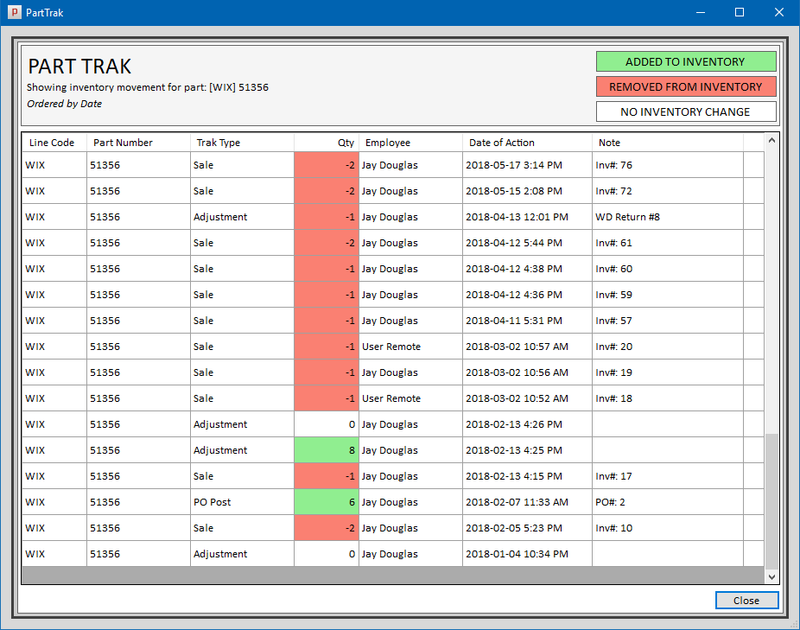 Other improvements to the Quick Part Edit inventory screen. Made improvements to the Inventory Adjustment Log viewer. Added “Price Model” to the AR Defaults in Preferences for adding new accounts. 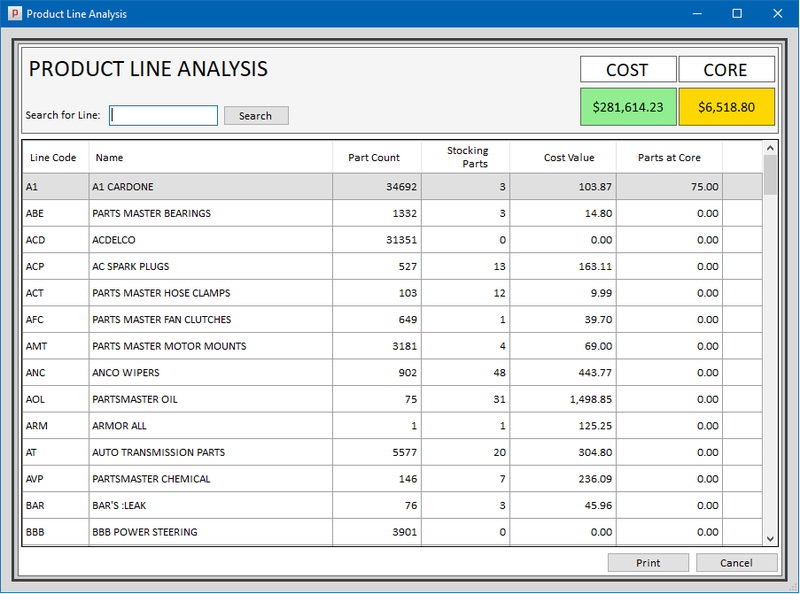 Added “Product Line Analysis” screen in Inventory screen to show inventory value by line and enhanced the Line Code Report. a. Added connectivity with Federated Link. b. Added support for credit limit enforcement. Other minor & visual improvements.